The tough financing markets of the past few years have taken their toll on many junior resource companies, as continuing needs for capital have led to dilution and lower stock prices. In this tricky environment, Chen Lin likes to place his bets on companies that can minimize dilution through internal cash flow that helps to finance expansion and exploration activities. In this interview with The Gold Report, Lin talks about how he has played the difficult market in 2012 and where he sees some of the best opportunities in 2013. The Gold Report: We are already into February and the gold market doesn't seem to want to do what most people have been predicting. Why has it been acting so poorly over the past few months? Chen Lin: That's a good question. Nothing goes up in a straight line and 2013 could be a difficult year for gold. Recently Goldman Sachs predicted that gold will peak this year and then go down to $1,200/ounce (oz) in a few years. That could shake a lot of weak hands, so I won't be surprised to see some selling this year, especially because gold's seasonal peak is around Chinese New Year at the beginning of February. TGR: Are you expecting a little bounce off of the bottom that we've been seeing for the last few weeks? CL: It's hard to say. Right now, money is going to risky assets, exactly opposite of 2008. Money is rushing into financials with banks showing record earnings. In the meantime, funds heavily invested in gold are not doing well. They could be facing redemptions, management changes and other issues. So 2013 could be difficult. TGR: So what's your feeling about silver? Do you think it will perform better than gold? CL: I'm quite bullish on silver. I think the industrial usage of silver could play a key role. About one month ago I told my subscribers to pay attention to miners with base or industrial metal products. Last week, Don Coxe, the highly respected analyst, advised to swap some gold equities to base metal equities. That actually confirmed my vision. I see metals with industrial applications, like silver, platinum and base metals, doing better than gold in 2013. Platinum has already started trading at a premium to gold after years at a discount, and I expect silver to do well also. TGR: Is that because there's more optimism for industrial recovery worldwide and therefore better demand for most metals? CL: Yes, but over the long run I still firmly believe that gold will do extremely well. Every central bank is trying to manipulate and weaken its currency and the situation is getting worse every day. The Japanese yen has weakened a lot and many other countries are already complaining about that. At the end of the day, gold is the only strong currency left. It may go through some weakness in the near term, but the long-term future of gold looks very bright to me. TGR: Well, 2012 wasn't a great year for precious metals stocks in general. How did your portfolio do and what were your best performers? CL: I would say I had a pretty good 2012. Ironically, my success was mainly because I was underweighting gold miners during most of 2012. My big winners were in energy and biotech stocks that I discussed in The Energy Report and The Life Sciences Report. My success in gold and silver mining was mostly from short-term trading, similar to 2011. My biggest winner was buying gold, silver and platinum miner call options a few weeks before the quantitative easing 3 (QE3) announcement and then selling on the announcement. I also had a big winner in platinum futures on the same day that the South African police started to shoot the miners, which was a turning point for platinum, and I was fortunate to catch the bottom and then ride the wave up. TGR: Basically you had to play the short-term moves and make bets on certain events happening and then take your profits as soon as you could. CL: It was a very tough year for the miners; you would lose a lot of money if you played buy and hold. You have to be prepared for the opportunity when events arise. I saw what happened in South Africa and reacted on the same day and I told my subscribers to do the same. TGR: What have you been looking at recently that you're excited about and think has some good upside potential? CL: One interesting company is Ivanplats Ltd. (IVP:TSX). It is looking at one of the most significant platinum discoveries in human history. The project is run by Robert Friedland and is basically a spinoff from the former Ivanhoe Mines Ltd. It has a new platinum group metals (PGM) discovery in South Africa, which according to Friedland is so large that it could wipe out the whole PGM mining industry in South Africa and take over the world. 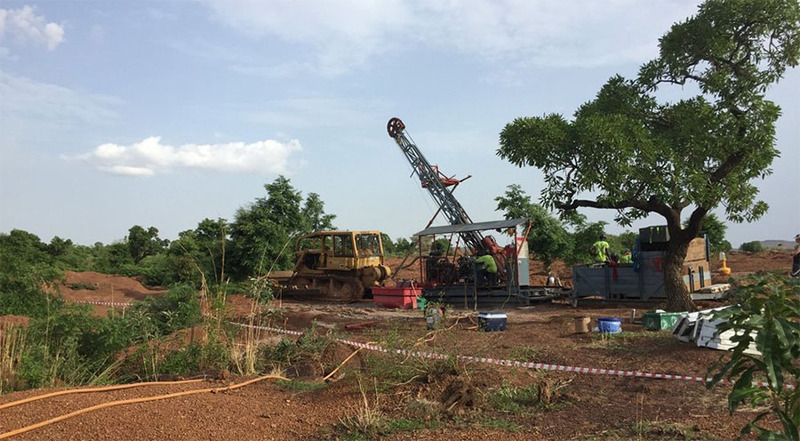 This deposit is only 20–30 meters (m) deep and has very rich nickel and copper byproducts that can produce platinum, palladium and gold at negative costs. A typical South African PGM mine has veins only about 1m thick, which are very deep and very hard to mine. "I'm quite bullish on silver." Ivanplats' discovery can potentially change the whole industry. The size of the deposit, according to Friedland's presentation, could be well over 100 million ounces (Moz). His plan is to announce the NI 43-101 resource on Feb. 5, and that's why I have been accumulating ahead of his announcement. TGR: How did Ivanplats happen to discover this deposit that nobody else had found? CL: Robert Friedland acquired the property and then he used his own money to explore it over the past 10 years. Ivanplats recently held its initial public offering. The Japanese invested $290 million (M) for 10% of the company before the discovery last year, so that values the deposit at $2.9 billion (B), way above the current market cap, which also makes it look very interesting ahead of the major announcement Feb. 5. TGR: And where's Ivanplats selling now? CL: It's selling at about $4.80/share, so the market cap is around $2.6B with a lot of cash from the IPO. I wouldn't be surprised that when Ivanplats' discovery is announced around the world, people will be really shocked at its size. TGR: What else are you following now that looks interesting? CL: Brigus Gold Corp. (BRD:NYSE.MKT; BRD:TSX) has been on my list for a long time. The company is projected to produce 90,000–100,000 oz (90–100 Koz) of gold this year at costs between $700–750/oz. In the past year Brigus suffered from a terrible hedge—below $1,000/oz—put on by the previous management. The new management bought out the hedge but had to sell a royalty to finance it, so that's still putting pressure on the company's balance sheet. Last year Brigus bought back some of the hedges and royalties. That should help the company going forward. "I still firmly believe that gold will do extremely well." Another company I have is Gold Standard Ventures Corp. (GSV:TSX.V; GDVXF:OTCQX), which is an exploration company. It runs the Railroad project in Nevada. It's run by a very experienced management team that made a good gold discovery in early 2012. The stock had a big run and then pulled back very hard, just like many other exploration stocks. Right now I'm waiting for a new round of results on its recent high-grade discovery. TGR: When is that expected? CL: Hopefully in the next few weeks.The stock is trading around $1.06/share. TGR: So that's near the low end of the range for the year, like most of these stocks. CL: Nearly every gold mining stock has traded down to near the low of the year, and even multiyear lows. TGR: What other ones are you excited about? CL: I've been a shareholder of OceanaGold Corp. (OGC:TSX; OGC:ASX) since early 2009 when it was $0.40–0.50/share. The company just started a new copper-gold project in the Philippines that should transform OceanaGold into a low-cost and high-margin gold producer. It recently closed a financing at $3.11/share and is still trading significantly below that price. TGR: What's the potential for this new Philippines project and do you see Oceana being able to keep up its growth profile? CL: It should produce gold at negative costs after copper byproduct. That project will transform it from a $1,000/oz producer to maybe a $300–400/oz producer and will be a major step for the company. TGR: What is happening in Spain? CL: I'm quite excited about Orvana Minerals Corp.'s (ORV:TSX) gold and copper-silver production in Spain and Bolivia. It should generate very significant cash flow this year and reduce its debt substantially. My estimate on the cash flow could be as high as $80–90M in 2013 alone, compared to its market cap of just over $100M. It's quite undervalued. The new management under CEO Bill Williams did an excellent job turning both mines around during the past 12 months. The stock hasn't been recognized by the market yet, but I believe it will be one day. TGR: What's it selling for now? CL: About $0.94/share. What's amazing is that most of the capital expenditures (capex) have been made, so Orvana just needs to continue to produce and generate cash flow, pay back its debt and it will be a very different company by the end of this year. I'm looking for self-financing. A lot of companies I own are going to be able to self-finance going forward. TGR: Speaking of self-financing, you own Alexco Resource Corp. (AXR:TSX; AXU:NYSE.MKT). What do you like about it? CL: Alexco has a very strong balance sheet, no debt and a lot of cash. It's expanding production quite rapidly and its mill has been running much better over the past quarter. It's waiting for permits for two new mines. They should come in the first half of 2013 and it will be producing around 3 Moz silver/year. Alexco has found a lot more silver in the district, so there are more opportunities coming. With no debt and a lot of cash on the balance sheet, Alexco is another nice example of self-funding. TGR: You also follow Aurcana Corporation (AUN:TSX.V; AUNFF:OTCQX), which recently announced commercial production at the Shafter mine in Texas. Do you expect share price growth to continue as it expands production and exploration at La Negra? CL: Aurcana is another turnaround story, with new management. Lenic Rodriguez was an investor in the company and when the company got into trouble, he rose to the occasion. He started putting in more money and running the company, and turned it around. I was quite impressed by what he's done. 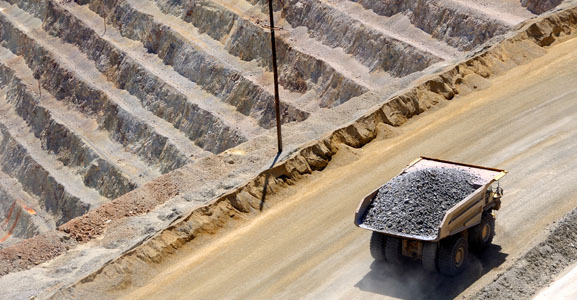 La Negra was a marginal mine that has now turned into a huge cash generator. The Shafter mine in Texas just started commercial production. We should see continuing improvements throughout 2013. It will have a lot of warrants exercised this year from prior financings, which could put some pressure on the stock, but by the end of the year, the company should have a relatively clean share structure and can move on to the next level. TGR: What else looks interesting? CL: Eurasian Minerals Inc. (EMX:TSX.V) is an exploration company that's basically a prospect-generator model. The company uses other parties' money to explore and then keeps the royalties. It has a series of royalties in Nevada that generate about $6M/year and carry most of the company's expenses. Eurasian is one of the very few exploration companies that is unlikely to need to raise money. In the meantime, it has many potential projects where majors spend money to explore—so the upside is quite significant. "Gold is the only real currency left." Another company I like is Pretium Resources Inc. (PVG:TSX; PVG:NYSE). The company has a very high-grade gold discovery in northern British Columbia. Its recent NI 43-101 report shows 8.5 Moz of Indicated and 2.9 Moz of Inferred resources. The average grade is about 17 grams per tonne. That's very high grade. Pretium plans to do a bulk sampling this year and release a feasibility study, so we should have some significant news. It owns the whole district, so the upside potential is very big. TGR: How soon could it get into full production? CL: After the feasibility it will need to get permits. I would say a couple of years. TGR: What kind of capex does Pretium need for full production? CL: Management is waiting for the feasibility study to have the answer, but the high-grade nature should make the capex relatively low. TGR: And what is the stock at? TGR: I know you've done some site visits with several of your companies. 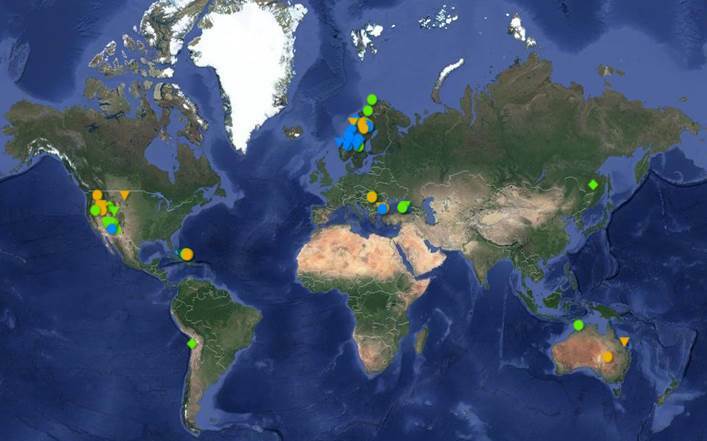 What have you seen on those visits? CL: I just came back from a trip to Petaquilla Minerals Ltd. (PTQ:TSX; PTQMF:OTCBB; P7Z:FSE) in Panama with a very positive impression. The company is a low-cost gold producer planning to produce about 100 Koz annually at a cost of $500–600/oz. Its market cap is only $114M. Among all the gold producers, it's probably one of the most, if not the most, undervalued you can find. TGR: Certainly with that kind of production. Is that going to increase over time? CL: Petaquilla is planning to grow to 300–400 Koz organically in a few years. That's why I was so impressed. It just built a new leach pad and was placing ore on the pad when I was there. It has about 100 Koz gold in inventory. Most of that is in ore on the leach pad. Once the leach pad is operational, it should generate a very nice cash flow. 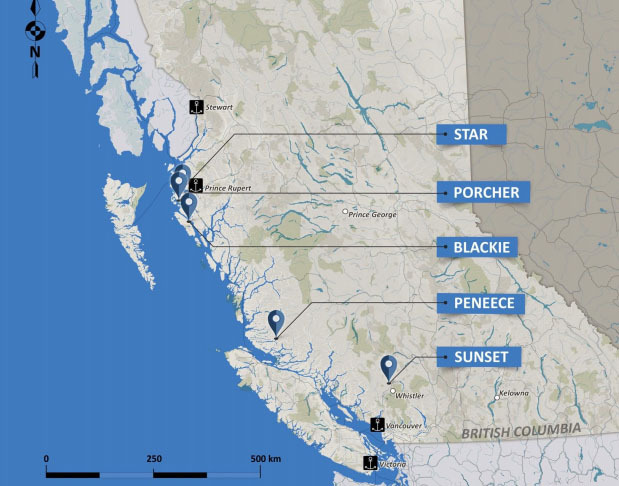 In addition, Inmet Mining Corp. (IMN:TSX) has the $6B Cobre Panama project that First Quantum Minerals Ltd. (FM:TSX; FQM:LSE) is bidding to buy. The tailings from Inmet's project are on Petaquilla's claims. Last year, Inmet tried unsuccessfully to bid for Petaquilla. I expect the two parties will sit down and negotiate a deal because Inmet needs a concession for more tailings and the deal could be very rewarding to Petaquilla shareholders. TGR: What's the stock trading for now? CL: Petaquilla is about $0.54–0.56/share, and it has, as I said, a $114M market cap. For this kind of producer, and one holding a very important claim next to a $6B project, that's very cheap. Also there's another claim Petaquilla holds for ore on the $6B Cobre concession that has more gold and silver than copper. At current copper and gold prices, the majority of the ore value is in copper. We checked with Inmet and it believes that no ore on the project right now belongs to Petaquilla because of the higher copper content. However, in 5 to 10 years, if gold rises sharply, as we believe, and copper stays the same, a significant part of the project would be transferred to Petaquilla automatically. Basically, Petaquilla holds a huge call option on the gold price and this is one of the largest copper-gold projects in the world. Even without all the claims I just mentioned as a bonus, Petaquilla can be worth more than the current market cap just based on its low-cost gold production. Also, Petaquilla expects to close a $140M loan facility. That will be a major milestone for the company and allow it to get rid of the small hedge book so it can get a full margin of gold and silver production. TGR: What's your general advice for investors looking to make some money in precious metals stocks this year? CL: Gold and silver miners suffered major blows over the past two years, mostly due to mining and capex cost overruns. However, I'm seeing the pressure start to alleviate. Many managements learned their lesson and have started to be more cautious in their forward guidance. In 2013, gold miners could outperform gold. As I told my subscribers, I'm no longer underweighting gold miners. However, I'm still very cautious and plan to invest conservatively. I'm looking for the self-funding low-cost producer that can do well if we have any near-term weakness in gold. I also like companies with good base metals byproducts that can generate a lot of near-term cash flow. I'm very bullish on gold in the long run, but I want to invest in companies that can overcome any potential near-term weakness and then reward shareholders in the long run. As my final thought, I see that every central banker is printing money like mad. Gold is the only real currency left. Every year I put aside some profit to invest in physical gold and silver as well as platinum and I will likely to do the same in 2013. If we have any weakness going into 2013, I believe it's a good buying opportunity. TGR: I certainly appreciate the opportunity to talk with you again. Chen Lin writes the popular stock newsletter What Is Chen Buying? What Is Chen Selling?, published and distributed by Taylor Hard Money Advisors Inc. While a doctoral candidate in aeronautical engineering at Princeton, Chen found his investment strategies were so profitable that he put his Ph.D. on the back burner. He employs a value-oriented approach and often demonstrates excellent market timing due to his exceptional technical analysis. Want to read more Gold Report interviews like this? Sign up for our free e-newsletter, and you'll learn when new articles have been published. To see a list of recent interviews with industry analysts and commentators, visit our Interviews page. 2) The following companies mentioned in the interview are sponsors of The Gold Report: Brigus Gold Corp., Gold Standard Ventures Corp., Orvana Minerals Corp., Pretium Resources Inc. and Petaquilla Minerals Ltd. Streetwise Reports does not accept stock in exchange for services. Interviews are edited for clarity. 3) Chen Lin: I personally and/or my family own shares of the following companies mentioned in this interview: Ivanplats Ltd., Brigus Gold Corp., Gold Standard Ventures Corp., OceanaGold Corp., Orvana Minerals Corp., Alexco Resource Corp., Aurcana Corporation, Eurasian Minerals Inc., Pretium Resources Inc. and Petaquilla Minerals Ltd. I personally and/or my family am paid by the following companies mentioned in this interview: None. I was not paid by Streetwise Reports for participating in this interview. Michael Rowley, CEO of Group Ten Metals, sits down with Maurice Jackson of Proven and Probable to provide an update on the company's exploration efforts. David Cole, CEO of EMX Royalty, speaks with Maurice Jackson of Proven and Probable about his company's three-pronged business model and projects that span the globe. Allegiant Gold is assessing six "discovery potential" projects in Nevada. Bob Moriarty of 321 Gold explains why he sees this explorer as undervalued and details the ways it is advancing its properties. Frank Holmes, CEO and chief investment officer of U.S. Global Investors, speaks to Streetwise Reports about the fundamentals for gold, his company's funds and a handful of companies on his radar screen. The benefits and terms of the transaction, termed an "astute deal" that both adds value and "removes the M&A overhang," are discussed in an iA Securities report. 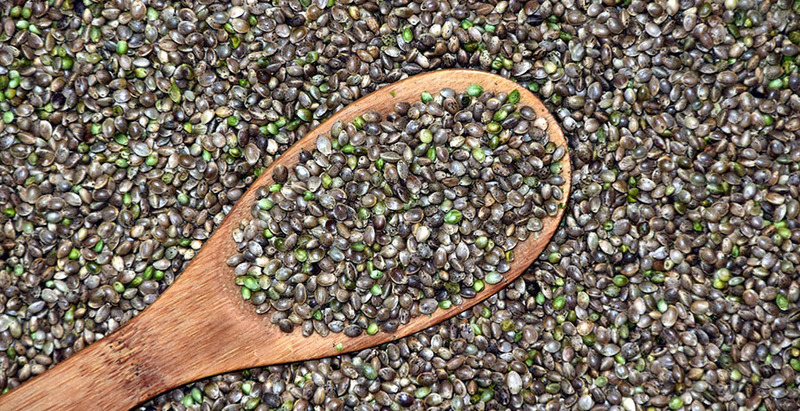 Peter Epstein of Epstein Research provides an update on a mining exploration company that is diversifying into the hemp market. 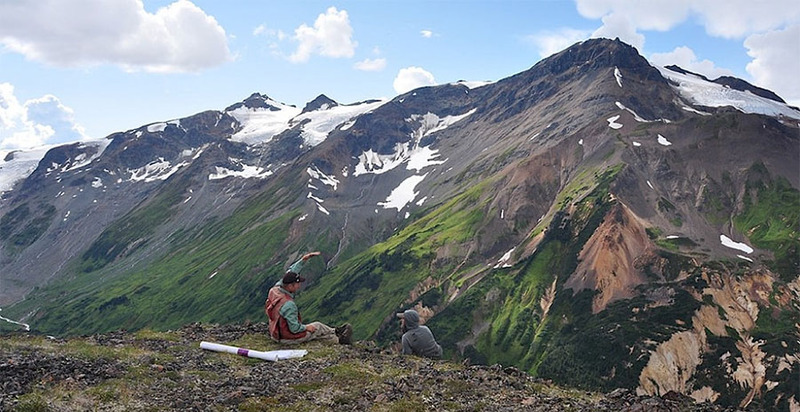 The snowpack is melting in the mountains of the Golden Triangle gold mining region in British Columbia, heralding a summer of increased drilling activities for Aben Resources. Peter Epstein of Epstein Research provides an update on a company exploring its Canadian properties for vanadium and other energy metals. The noted engineer, who has a track record of building companies and increasing their value, is now focusing on Nexus Gold. Want to be the first to know about interesting Gold, Base Metals, PGM - Platinum Group Metals and Silver investment ideas? Sign up to receive the FREE Streetwise Reports' newsletter. Want to read more about Gold, Base Metals, PGM - Platinum Group Metals and Silver investment ideas?